How many times have we heard some variation of that line? Maybe, like me, you’ve used it yourself. Of course, we now know that birds can be very intelligent creatures. The putdown really isn’t accurate. Furthermore, and more relevant to this blog, bird characteristics have fueled our insights on mobbing behaviors. During the 1980s, the late Swedish psychologist Heinz Leymann used the term “mobbing” to describe the kinds of abusive, hostile behaviors that were being directed at employees by their co-workers. This pioneering anti-mobbing expert’s theories were originally informed by observing the mobbing behaviors of birds. Recently I got a, umm, bird’s eye view of bird behavior when I was visiting friends — a retired couple in northern Virginia — who happen to be animal lovers and bird keepers. The bird on my shoulder is Huey. She’s been with my friends for some 30 years. She quickly hopped on my shoulder and allowed me to pet and feed her. We became fast pals. However, Huey doesn’t like females — of the human variety. She pecks aggressively at women! Put Huey in the workplace and she might be the classic female-to-female bully. The bird not on my shoulder is Gussie. He’s been with my friends for some 20 years. Unfortunately, his two previous owners abused him. He will allow my friends to come close enough to feed him, but he has never allowed them to touch him. That’s what traumatic abuse has done to the poor little guy. Gussie is blessed to be with people who care about him and treat him kindly, but he’s still a very wounded bird. So, a little first-hand lesson for me in bird behavior. Bird brains, indeed. …(A)n investigation by The New York Times has found that industry practices continue to put animal and rider at risk. A computer analysis of data from more than 150,000 races, along with injury reports, drug test results and interviews, shows an industry still mired in a culture of drugs and lax regulation and a fatal breakdown rate that remains far worse than in most of the world. If anything, the new economics of racing are making an always-dangerous game even more so. Faced with a steep loss of customers, racetracks have increasingly added casino gambling to their operations, resulting in higher purses but also providing an incentive for trainers to race unfit horses. Although the morality of the horse racing comes up from time to time in the media, to me there are much more compelling ethical issues concerning animals. Furthermore, I don’t know much about the world of the sport, and I don’t feel qualified to judge it. Nevertheless, when the sport becomes unduly hazardous to riders and horses, it’s time to take a hard look at what’s going on. And what we have here is a metaphor for our times: To stoke the betting fires of those chasing a big pay day at the racetrack, man and horse alike are put in harm’s way, speed fueling speed, circling the track over and again, only to end up where they started. As a result, the jockeys are facing greater than normal risks, and their choices boil down to staying vs. walking away. As for the horses, they don’t decide whether to be juiced up with drugs, and if they are badly injured as a result, they have no role in determining their fates. 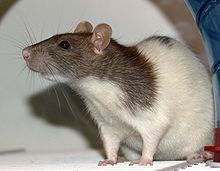 The next time you deal with a less-than-wonderful co-worker, think twice before you call him a “dirty rat.” You see, it turns out that rats can be pretty decent creatures. The researchers came to the unavoidable conclusion that what they were seeing was empathy — and apparently selfless behavior driven by that mental state. Not that I’m eager to have them over to my place, but I guess this shows that rats can be, umm, stand-up animals. After all, empathy and resilience make for a good combo, at work or anywhere else. Santa may need a mediator to sort out this brouhaha, but there’s a professor at Long Island University who claims that the CBS holiday television classic “Rudolph The Red-Nosed Reindeer” promotes bullying. I think the idea that you can take something as innocent and as nice as “Rudolph The Red-Nosed Reindeer” and pull some kind of psychological or sociological pathology and place it on there – I think this guy has too much time on his hands. Okay, I’m actually going to dig deeper into this one. To me, “Rudolph” is a great ANTI-bullying tale. The story makes us feel sorry for Rudolph, Hermey the Elf/Dentist, and all the denizens of the Island of Misfit Toys, and it teaches us that everyone brings something worthwhile to this world. If you’re a little kid soaking it in, it teaches you about empathy and being accepting of differences and individual choices. Rudolph is ridiculed and ostracized because of a physical difference. Hermey is bullied by the senior elf because he’d rather be a dentist. The Misfit Toys are forgotten by Santa every year. But ultimately, the story ends in their acceptance. And with that said, I’ll return to watching DVDs of “The Wire.” Have a holly jolly holiday, everyone! Hat tip to John Smurda of Ohio Healthy Workplace Advocates for the KDKA piece! Two Sundays ago, the New York Times devoted a nearly a full page to a photo story about changing factory farm conditions for egg-laying hens. The piece, “A Hen’s Space to Roost” by Bill Marsh, broke my heart a little. It included a big color photograph of a “battery cage,” the tiny cages in which the hens live out their lives in spaces of about 7 by 7 inches per bird. Some 97% percent of the eggs produced in the U.S. are from birds confined in these cages. Not mentioned in the Times article is the fact that these caged hens often go insane. Many of us who enjoy eggs and poultry have rationalized our habits by assuming that chickens are next to brainless. But that’s not the case. As animal researchers, animal rights advocates, and folks who simply observe animals will attest, chickens have personalities and form bonds with one another. When they are warehoused in cages that allow them hardly any movement, they can lose their minds. As the Times reports, even the hens housed in “cage-free” conditions (representing 2 percent of eggs produced in the U.S.) aren’t exactly living it up. They are kept in huge barns that allot them an average of 12 by 12 inches per bird. Only the “free-range” hens enjoy anything resembling the kind of idyllic farm life we might imagine. According to the Times article, here are average store prices for a dozen eggs: Hens in battery cages, less than a dollar, white or brown; cage-free hens, $2.37 (white) and $3.33 (brown); free-range hens, $3.66 brown organic. Inspections of Iowa poultry farms linked to the salmonella outbreak have prompted headlines about infestations with maggots and rodents. But the larger truth is: industrial agriculture is itself unhealthy. So..are battery cages the equivalent of sweatshops for animals, or even worse? Are the public health concerns associated with them the animal equivalent of Upton Sinclair’s The Jungle at the turn of the last century? Sweatshops, after all, are about the exploitation of labor to make money. And these animals are being horribly exploited for our benefit. I’m not claiming that chickens should be elevated to human status in terms of how we treat them. (While I’ve managed to cut down on my consumption of meat and poultry considerably, I have been unable to make the full transition to vegetarianism.) Also, I get the virtues of thrift, especially now, with millions struggling to put food on their tables. That said, we should not forget that animals live and labor in harsh, at times intolerable conditions so that we can pay less money at the cash register. As we strive to create a more humane and sustainable society, we should keep these concerns in mind.